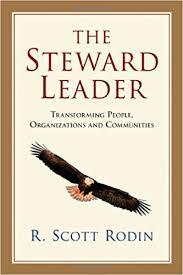 Steward Servant Dynamic in Leadership Research Papers examine leadership principles that have developed over the last three decades. The Steward-Servant dynamic in leadership is a topic that business students often need research papers on for international or domestic business relations study. Our writers will custom write a research paper on leadership of any type. The study of leadership has gained significant momentum over the last two decades, a phenomenon due largely to the anticipated challenges of a new millennium that would require “a transformation in organizations and in the thinking and behavior of their leaders”. Unfortunately, many of the challenges exhibited at the end of the twentieth century such as the crisis in confidence and trust in government and business and a down economic cycle have continued into the new millennium. These challenges, along with emerging challenges facing leaders every day, present important implications for applying leadership principles that will most effectively assist the organization in attaining greatness in the 21st century, where greatness is manifested not only in its success but also in the success of its leaders and their followers. How can a leader possibly be at once a leader and then also a servant? Isn’t the leader’s primary responsibility that of leading servants? Although questions like these suggest that the concept of servant leadership might be difficult to conceive by many, this style of leadership is gaining significant focus in these turbulent times. In fact, servant leadership is increasingly perceived by business people and business students alike as a compelling characterization of leadership, especially as one that has major implications for addressing the leadership demands of the new millennium. The following research will examine the principles of servant leadership as they have been developed over the last three decades as well as issues and trends facing today’s leaders that lend themselves to its application. The research will also examine several cases where the principles of servant leadership are being practiced in organizations with unequivocal success. Leading Without Power - Leading Without Power is a book by Max De Pree that discusses his life and career and is also considered to be a guide for new style of leadership. Statement of Business Principles - Statement of Business Principles projects outline the duties and responsibilities a business person has to him/herself, to his/her business, to his/her society, and to the global community. Analysis of Leadership - An Analysis of Leadership from the book The Road to Guilford Courthouse. Leadership and Nursing - Leadership and Nursing research papers discuss nursing programs in the United States that focus on leadership. Order a research paper on leadership in nursing from Paper Masters. Quality Philosophy of Leadership - Philosophy of Leadership Research Papers explore for a definition of leadership for America's military forces, with also discussing specific traits. Leadership and the Dalai Lama - Leadership and the Dalai Lama research papers study the leader of Buddhism and his leadership traits. Caesar's Military Leadership - Caesar's Military Leadership is over viewed in custom research papers from Paper Masters. Napoleon's Military Leadership - Napoleon's Military Leadership research papers are custom written, plagiarism free. Nursing Leadership - Nursing Leadership Research Papers look at an example of an order about nursing that needs to have the issue clearly stated, and the history on the subject matter. Steven Covey's Seven Habits of Highly Successful People - Steven Covey’s Seven Habits of Highly Effective People essays delve into Covey's book on how to approach achievement and personal change, and applying these changes to everyday life. Paper Masters writes custom research papers on Steward Servant Dynamic in Leadership and examine leadership principles that have developed over the last three decades.